The renowned North Sea Jazz Festival held every year in Rotterdam’s AHOY arena needs no introduction. Hailed as the biggest “indoor jazz festival in the world” it is a must-do experience for any music lover. Here are our top tips for visitors to the North Sea Jazz Festival. 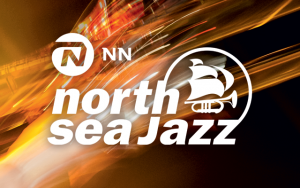 Serious jazz-aficionados would do well to buy a 3-day ticket, which gives you access for all 3 days of the North Sea Jazz festival (ie. Friday, Saturday and Sunday). A 3-day ticket works out significantly cheaper than buying a ticket for each day separately, but you do have to be super-quick. The three-day tickets are often already sold out by January (a full 6 months before the actual festival), which is even more impressive considering that the full line-up is not even known by then. The 3-day tickets, just like the one day tickets, do not give you access to the Plus Concerts. With an extra-special line-up of world-class stars, and a limited capacity, it does make sense that you have to buy supplementary tickets for plus concerts. You’d have better luck at accidentally bumping into Stevie Wonder, than finding decent and affordable accommodation in Rotterdam during the North Sea Jazz festival. Our advice is to book a hotel (with free cancellation) the moment you think about maybe possibly going to NSJ. On Visit Rotterdam, you can book a hotel using our Booking.com search box up to 16 months before you travel, and most offer the option of free cancellation. There’s a great selection of food and drinks on offer at NSJ. And it’s amazing just how peckish you can get with all the delicious scents of indian curries, Indonesian satay, flamegrilled burgers and Vietnamese spring rolls wafting in the air. You need to pay using special North Sea Jazz tokens, which you can get from vending machines all over the festival terrain. You’ll see a bank of these token dispenser machines as you come through the main entrance, but usually the lines are quite long for these. In previous years, we have found that using the machines beyond the ticket barriers, for instance those in the Nile hall, is usually quicker. At the end of the evening, you can get a refund for unused tokens at the main entrance. This might sound silly, but if you’re hopping to go to the toilet between acts, it’s handy to have already paid for an all day/night toilet stamp. A slight outlay early on in the evening, having a stamp means that you won’t need to stand in long lines to pay every time you want to nip to the loo. The only thing is, that the stamps tend to smudge off quite easily, so if you’re a vigorous hand-washer, or are hoping to hold someone’s hand all evening, you might want to think about having your toilet stamp inked on the upper inside of your-lesser used arm. Just saying. We hope that these tips for visitors to Rotterdam’s North Sea Jazz Festival have been useful – and we know you’ll have a spectacular time!